‘Escape to Planet 7’ is the request from this casino, one of a range operated by the BTK Ltd Casinos Group. We will investigate whether it is really worth jetting off to this long-standing casino or whether this planet is best avoided. This is a slot heavy site with a sprinkling of table games, but it is somewhat limited in terms of selection of games. Expect a large welcome bonus if you sign up here but be aware that there are a large number of restricted countries. 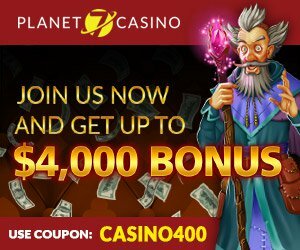 WHAT IS Planet 7 Casino? 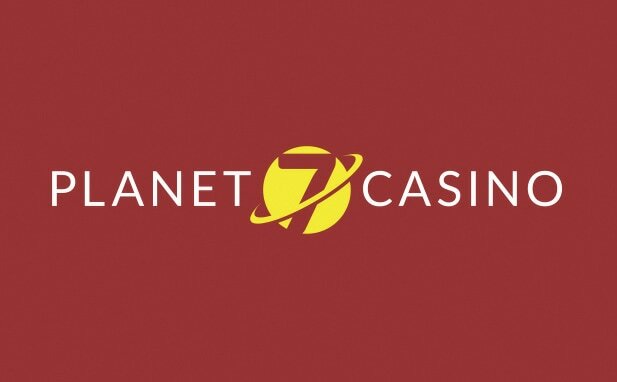 Planet 7 Casino is a small online casino with its aim fixed on the North American market. The site was founded all the way back in 2009, meaning that it is relatively well established. Unfortunately, the game selection is rather limited here for both desktop and mobile, and the license held by this casino is not one that would give players a lot of confidence. That being said, there are lots of promotions advertised on this site which is always a sure-fire way to attract new customers. Sign up with Planet 7 and you will immediately be eligible for a 200% matched bonus along with 20 free spins. It is a pretty sweet deal as all you need to do is to enter the code WELCOME200 when you make your first deposit and there is no limit on how high the bonus can be. What’s more, there is only a 30-time wagering requirement before you can withdraw, which is quite generous. Besides the welcome bonus there are numerous other ongoing promotions, most of which require a bonus code. It seems that Planet 7 is aware of the fact that its reputation is not the finest and so is compensating with lots of promotions, including no-deposit bonus offers. Whether you choose to accept them is up to you. Only four deposit types are listed in the banking area of Planet 7, although it does state that others are available on request. The listed options are Visa, Mastercard, Neteller and Bitcoin. The issues that have dogged this company have been related to slow payments and sometimes non-payment of funds. This is one of the biggest red flags there is, and without a strong regulator it is a major problem. Regardless, the withdrawal limit here is set at $2,500 per week which is bad news for high rollers. If you are looking for a big range and variety of games, then I am afraid you had better search for a different planet to this one. On Planet 7 all the games come from Real Time Gaming, and there are about 220 of them in total. When you log in to your Planet 7 account you will be able to speak to customer support via live chat. Reports on the reliability of their responses to emails vary, with some communications going unanswered. Unfortunately, the lack of a strong regulator does not protect the customer’s rights should there be any issues. Another contact method is a toll-free North American customer, which is an indication that this site is targeted towards that region. Planet 7 Casino quite simply has too many red flags for us to give a recommendation. The selection of games is not great – unless you are a big fan of RTG’s output – and the issues with the slow pay-outs is a major concern. The Costa Rica regulator is not a good protection for players, so we would recommend caution if you are thinking of signing up here. If you do sign up there are nice-sounding bonuses, although the terms and conditions do not make clear if the original bonus is withdrawable or not. In general, we would suggest that there are better options out there. There are just too many negatives floating around out there for us to recommend this casino. Planet 7 has a poor selection of games and its owners have a reputation for slow or non-payment of earnings. The lack of a quality licence is also a major red flag here, so we suggest that you search for a more habitable planet.